WATCH: CW Superhero Crossover Gets First Teaser | Nerd Much? The big CW superhero crossover we’ve been waiting for all season is less than three weeks away! The first teaser has landed for the four-part event. While the clip is only 20 seconds long, it does a great job to build anticipation for the epic TV event. Barry Allen introduces Supergirl to everyone else. Fans will remember that Supergirl and the Flash met already during the first season of Supergirl on CBS. Last year’s CW Superhero crossover was a two-night special between The Flash and Arrow. With two extra shows under their belt, CW has decided to go bigger. Starting November 28, the four-night event will bring Supergirl, The Flash, Arrow, and Legends of Tomorrow together. 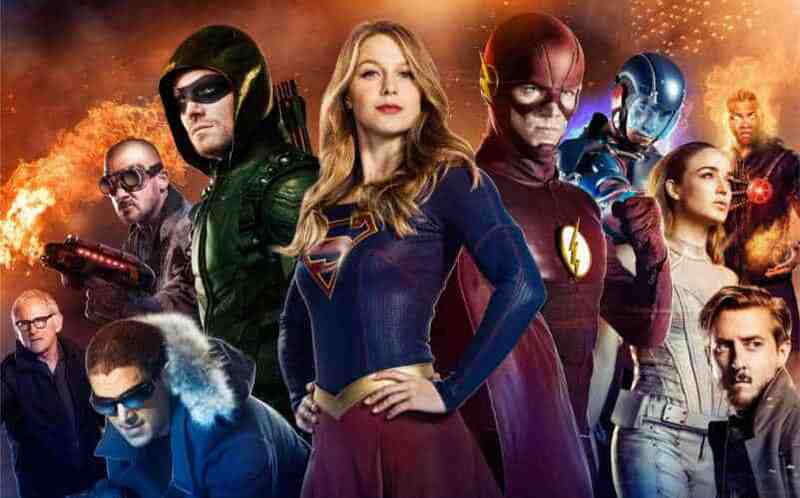 According to executive producer Marc Guggenheim, the CW superhero crossover is really a three-series crossover. Supergirl will mostly act as a primer before the event truly begins on The Flash. Still, three nights is an epic amount of time for a story arc. It’s basically a feature-length movie. We can already imagine the special edition Blu-Rays. Clearly, this will be a week of great television for comic book fans. Will you be tuning in?